Temperatures are quickly dipping, which means it’s time for many of us to rely on our furnaces for comfortable home temperatures in the coming cold winter months. Winter is when your HVAC system is working its hardest to move air through your home’s duct work. And since most of us spend more time indoors in the winter, you will likely be working your furnace even harder than your air conditioner during the summer months. Because Indiana winters can be so brutal, it's important to make sure your furnace is taken care of. Perhaps the easiest way to do that is to change your furnace filters regularly, and it will keep the air in your home clean and safe. But how often should we switch them out? Well, it depends on what kind of filters you use and various lifestyle factors. In general, most filters need to be changed every three months (maybe less depending on some factors we'll discuss below). Regardless of frequency, everyone should check their filters once a month to see what condition they are in. Do you have pets? Pet dander will accelerate how often you need to change your filters. Are you a smoker, or do you live with one? If so, that’s another reason you will need to change filters more often. What kind of filters do you use? Standard fiberglass filters need to be changed monthly (maybe a little less depending on how contaminated your home air gets). If you use permanent washable filters, they need to be thoroughly cleaned and dried once a month. Why do you need to change furnace filters so often? Why is it so important to stay on top of your filter changing? Because that thin filter is the only thing between you and toxic air. It’s a big factor in your indoor air quality and how well your furnace operates. As the filter collects various bits of airborne debris, it starts to clog up. After a while, that build up makes it very difficult for air to pass through. That means the blower is working harder, increasing your energy bills, taking longer to heat your home, and risking burning out the blower motor. At the bottom of the furnace, you’ll find access to the filter housing. Note the arrow on the filter frame that shows the correct air flow direction. Remove the old filter and insert the new one. It’s that simple. Tip: Make sure you purchase the right size of filter. 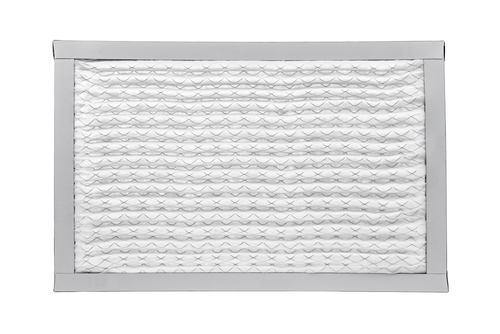 The best way to know how often you need to change your air filter is by simply checking it on a regular basis. Every furnace heats a different home, with different factors that affect a filter’s life span. After a while, you will develop a good idea of how quickly contaminants build up on your filter and how often you will need to install a replacement.